The meeting of golden wheat fields with crisp cobalt skies suggests that life around here goes on forever. Looking out toward the flat horizon, you are never really sure if there is any life out there. Only the tilled lines sweeping over the distant hills indicate that you are not alone. This is where I find myself; standing at the centre of a farmers field with the oddest of discovery’s. In front of me stands the remains of a building over 115 Years old. 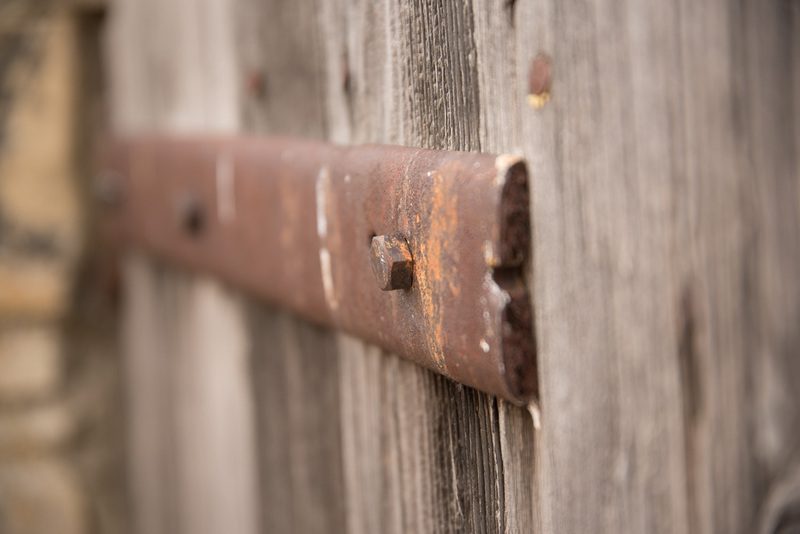 A piece of Alberta’s rich farming and ranching history. No the building has not deteriorated or been knocked down in anyway. It stands exactly as it was built in 1902. You can’t see it from here because this interesting little building has been constructed underground. As early pioneers moved West in search of a better life, it was not unusual for them to build temporary dwellings to help them get through their first winter on a new quarter. The Ukrainian settlers often built homes made out of Sod or logs that were partially below ground level in order to block out winters icy assault. You can see an example of a sod building in Morrin, AB. The strange thing about the Didsbury Dugout is that it is built completely underground. 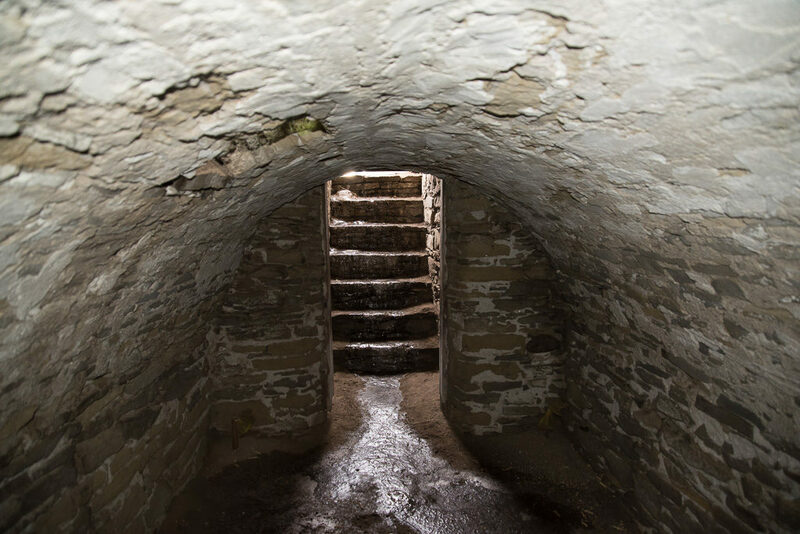 Not only that but this secret little residence is constructed from stone. 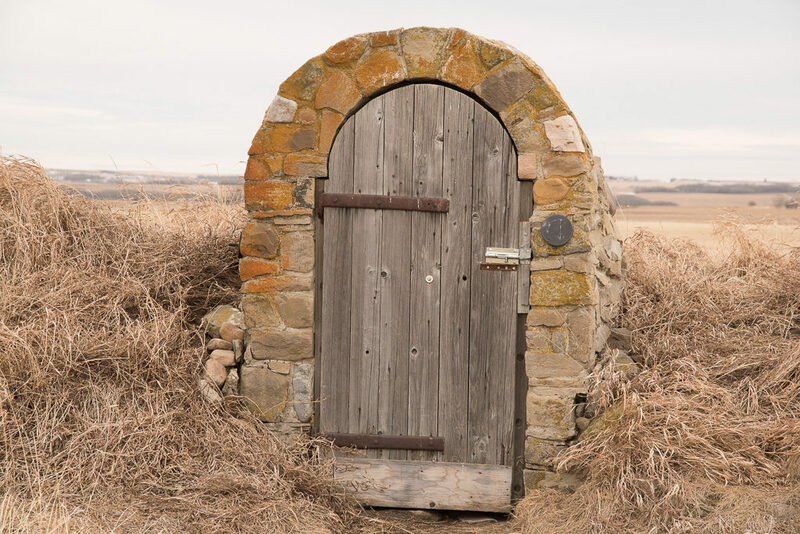 The only thing visible to those passing by is the arched dome doorway, with an old wooden door. Upon opening the door you are greeted with a number of sandstone stairs leading down to the little subterranean room. Jack had his neighbor’s name incorrect though; it was a Mr. Steendahl that was living South of him. 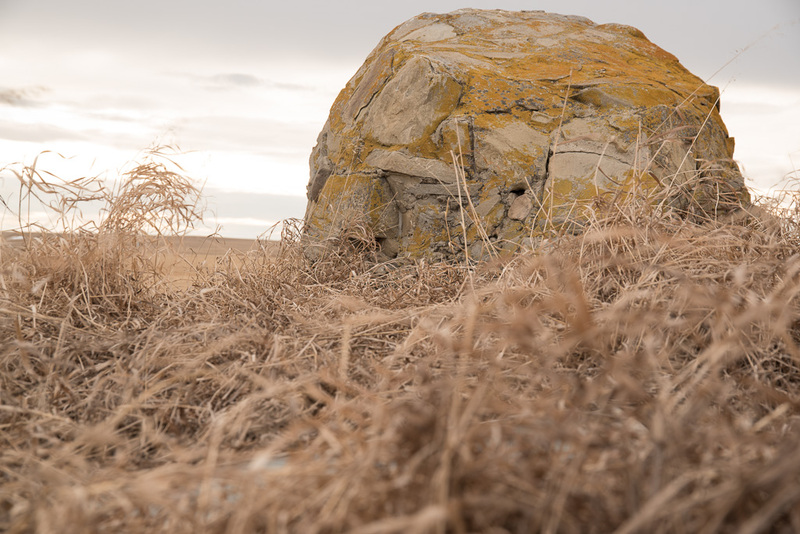 Mr. Steendahl was a Swiss stonemason that had made his way into Alberta from North Dakota. Early ranchers in the area recall seeing him and his horse drawn wagon, hauling loads of sandstone blocks, harvested from a nearby lake. 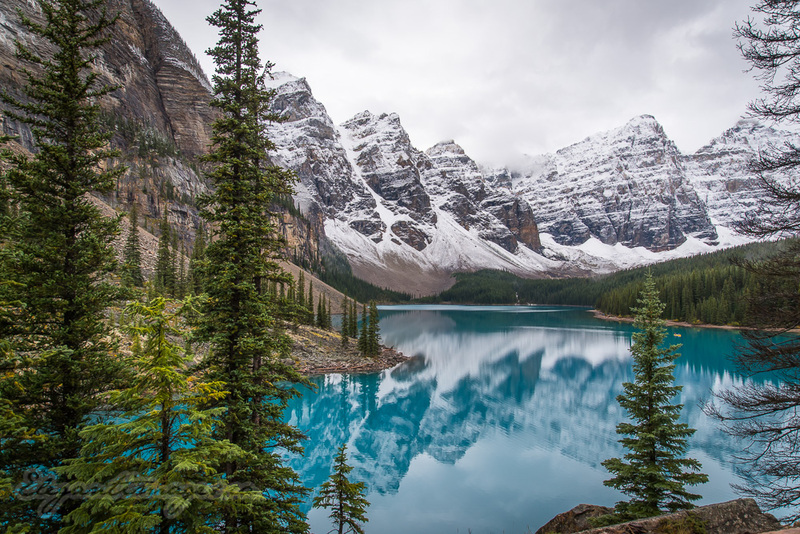 It is assumed that he started construction on the little 10 x 12 shelter in August 1902; in hopes to have it completed before the harsh winter months descended on his land. A skilled stone mason, Mr Steendahl constructed this temporary dwelling from large, flat pieces of sandstone; meticulously placing them and reinforcing them with smaller stone chunks. The ceiling is dome-shaped with a small skylight in it that could have been used for ventilation. 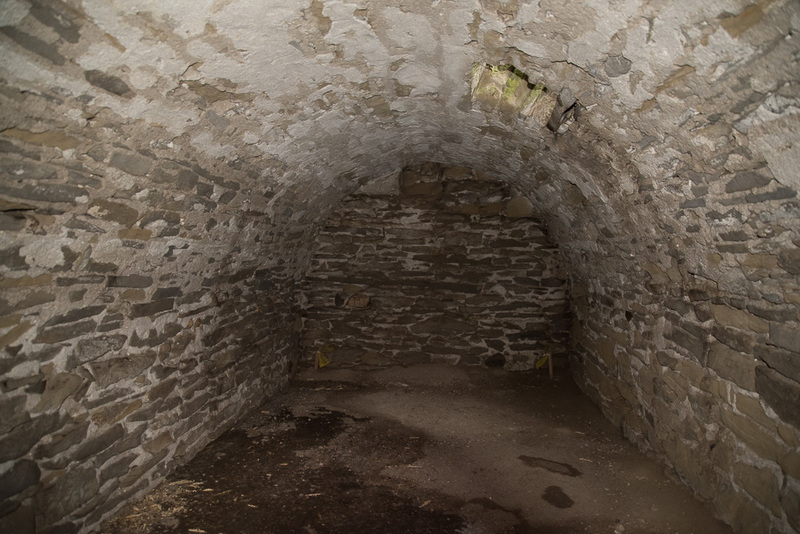 He whitewashed the interior walls of the shelter with lime to make the space bright, and also manufactured a chimney so he could have a cook stove underground. The accommodation would have been very cozy and warm for one man in winter. 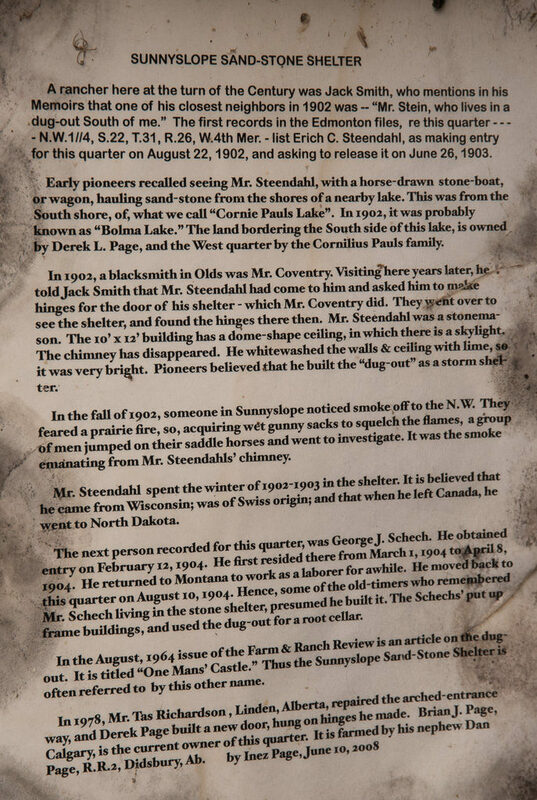 According to the stories, Mr. Steendahl spent the winter of 1902-1903 in his handcrafted little building. The following spring he decided to head back to North Dakota. Maybe Alberta’s climate was too harsh for him or perhaps he needed to find better work. However, he was not the last person on record to have used the Dug-out. The next person that obtained the rights to the quarter section was a Mr. George J Schech. He stayed on the quarter from March 1, 1904 until April 8, 1904. Letters from that time say he returned to Montana for a spell to work as a labourer, but he eventually moved back onto the quarter in Aug, 1904. At that time, George then began construction on a wood frame building he would use in his new farm/ranching operation. 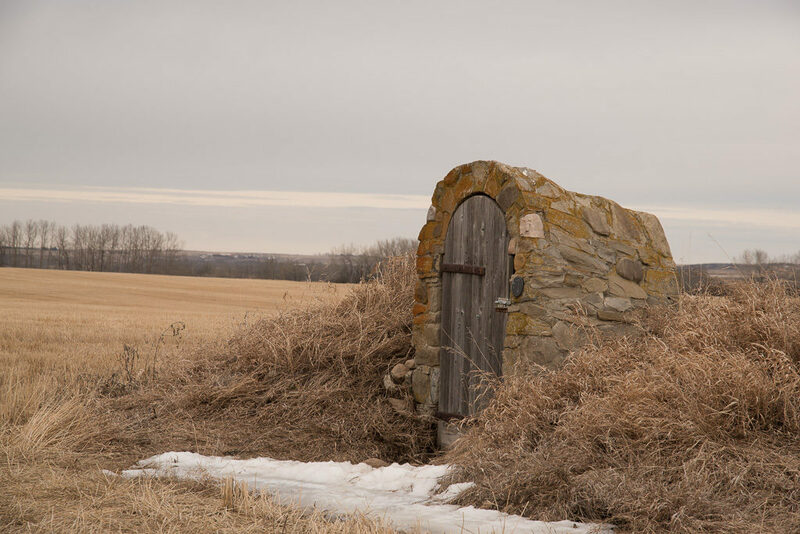 After he moved into his new building the Schech family continued to use the little stone dugout as a root cellar. 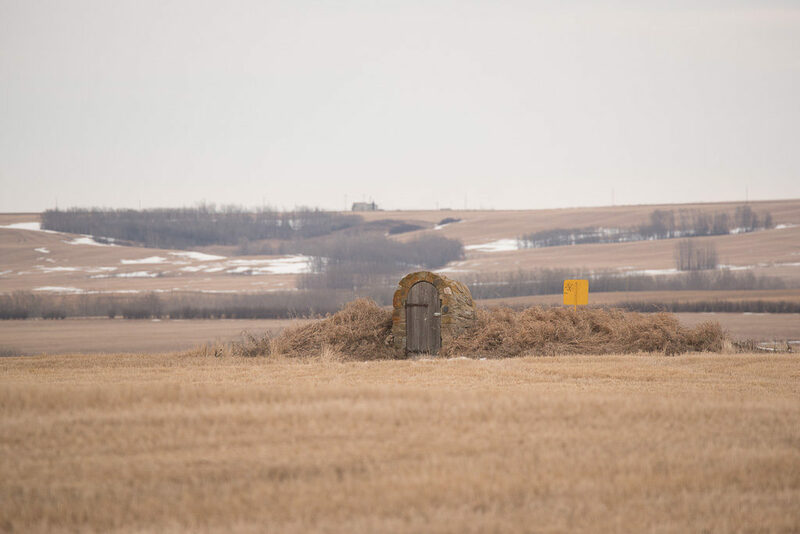 Today the Didsbury Dugout is considered a cherished piece of history, and is even listed on Alberta’s Registry of Historic Places. 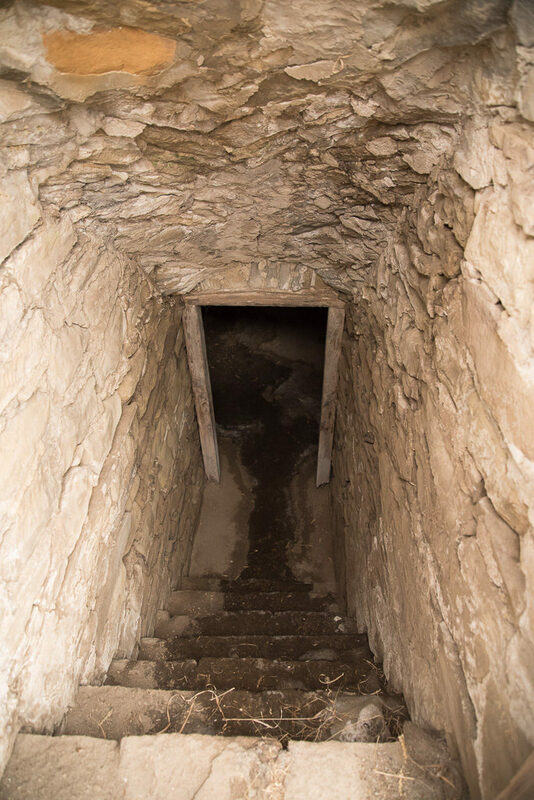 The current owners of the land have graciously kept the stone building in-tack and the door to the dugout unlocked so anyone that is curious about this one hundred year old building can poke their head in and have a peek. **A Note On Courtesy: If you do choose to visit the Didsbury Dugout in person, please respect the farmer’s crops and land. Do not drive on the land and please stick to the little trail that leads up to the stone arch-way so you do not trample his crops. 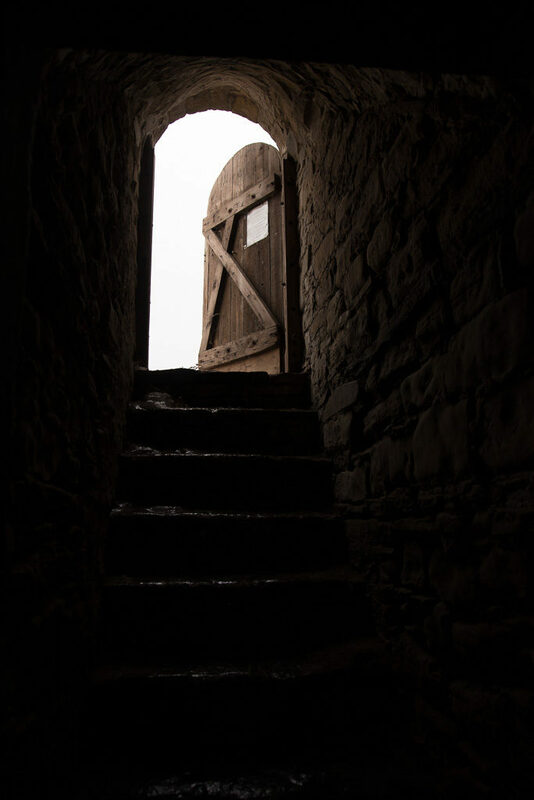 And last but not least … Please close the door after you leave. Wow, what an amazing piece of history – a 115-year-old “temporary” shelter! This is incredible – thanks for blogging about this. The ingenuity of our settlers never fails to impress me. Hi Ryan, I agree with you 100%. 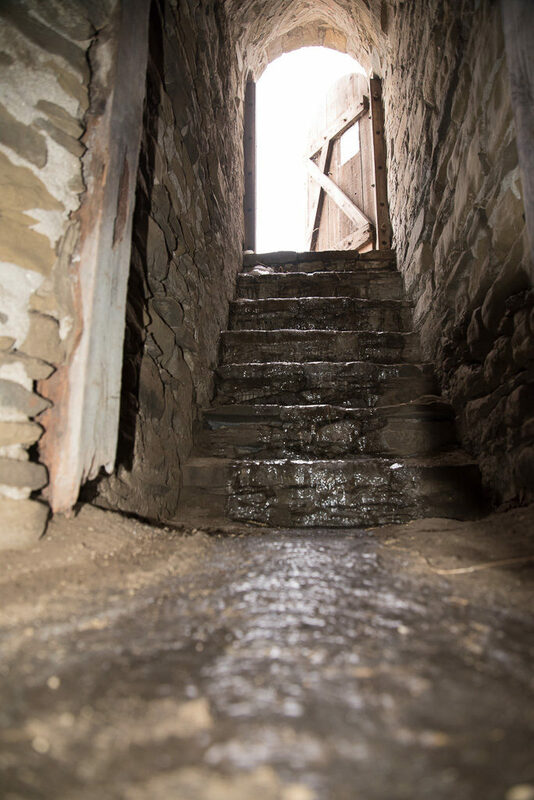 The care and craftsmanship that the early settlers took in a project is something to be admired. Join our mailing list to receive the latest news and updates from our hikes and adventures. Join our mailing list to receive the latest news and updates from our latest hikes and adventures. Make sure to check your email!